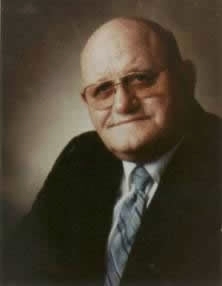 On the evening of April 11, 1987, Brother Emerson Wilson was called from his earthly labors to receive his heavenly reward. 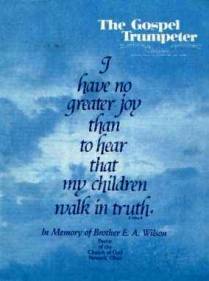 Following his death, the June 4 issue of The Gospel Trumpeter was printed in his memory. Truly our loss was Heaven's gain! Click here to read this issue of The Gospel Trumpeter. "Are You a New Creature?" "Blessed Is He That Watches"
"My Presence Will Go With Thee"